Hamburg is the second largest city in Germany after Berlin. Its location is an important link between the sea and the country’s waterway network. Miniatur Wunderland is the largest railway model in the world, and one of the most successful permanent exhibitions in Northern Germany. The Port of Hamburg is known as the gateway to Germany. Numerous boat trips depart from Landungsbrücken, a floating dock with 700 meters long. The footpath leading to the Speicherstad district with its continuous lines with brick buildings is another highlight. The Kunsthalle Hamburg is one of Germany‘s leading art galleries. The permanent collection of the Kunsthalle reflects 700 years of art and offers the public a tour of the history of European art from the Middle Ages to the present. In the old town is located the Town Hall of Hamburg (Rathaus). It is a sumptuous neo-Renaissance building. Guided tours are available. The St Michaelis is the most famous of many churches in Hamburg. From its tower with 132 meters of height there are platforms of observation with excellent panoramas of the city and the port. More than two million people visit the Ohlsdorf Cemetery every year. There are memorials for Allied prisoners of war and also for victims of Nazi persecution. The Monument to Bismarck is the largest statue in honor of the German statesman Otto von Bismarck. The Binnenalster and Aussenalster are two artificial lakes connected to the Alster and Elbe rivers. You will find many squares, historic avenues and pedestrian areas. The Jungfernstieg is a pleasant and ideal place to relax beside the water. It offers direct access to one of Hamburg‘s biggest shopping malls, the Alsterhaus. 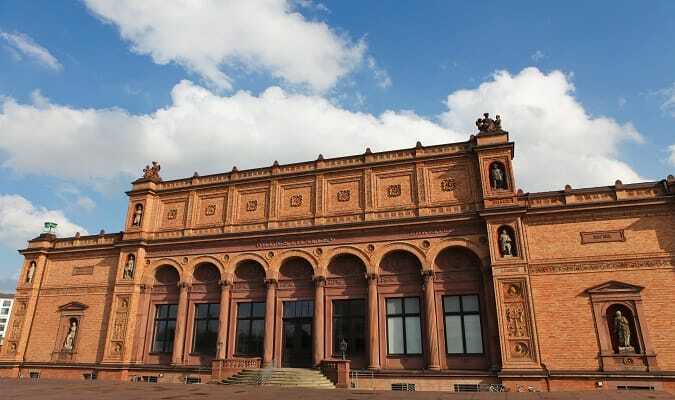 The Museum für Kunst und Gewerbe Hamburg has a permanent collection spanning over 4,000 years of human history, from antiquity, the Middle Ages and the Renaissance, Baroque and Classicism to modernity and the present. The Planten un Blomen Park is located in the center of Hamburg. The park has the largest Japanese Garden in Europe and a Botanical Garden. The Jenisch Haus is one of the most beautiful historic buildings in Hamburg. It is located in a spacious garden on the banks of the Elbe. Today, the Museum of Arts and Culture located on the ground floor shows paintings and sculptures of the Empire and Biedermeier. The Tierpark Hagenbeck has over 1860 animals from all continents. It is located 6 km from the Rathaus. 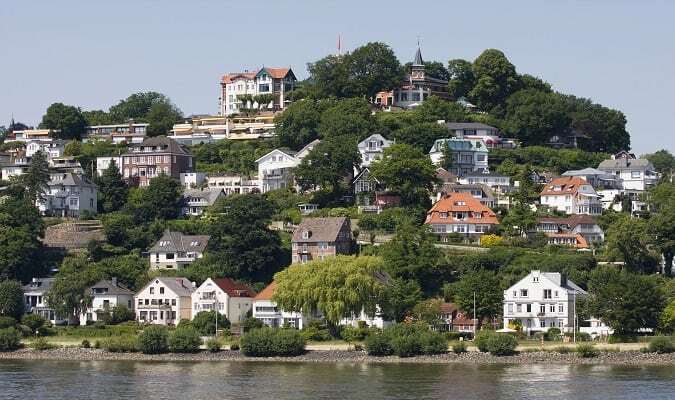 The Blankenese is a popular destination located west of Hamburg. It is a residential area of the city’s wealthy citizens. The Blankeneser Bahnhofstrasse is like a small town with its church, weekly market, shops, restaurants. The Radisson Blu Hamburg is located 800 meters from the Alster Lakes. 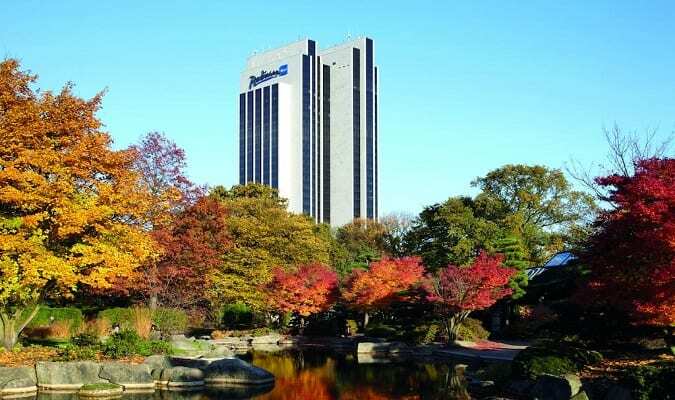 The hotel has 556 rooms equipped with a flat-screen TV, safe, coffee maker. 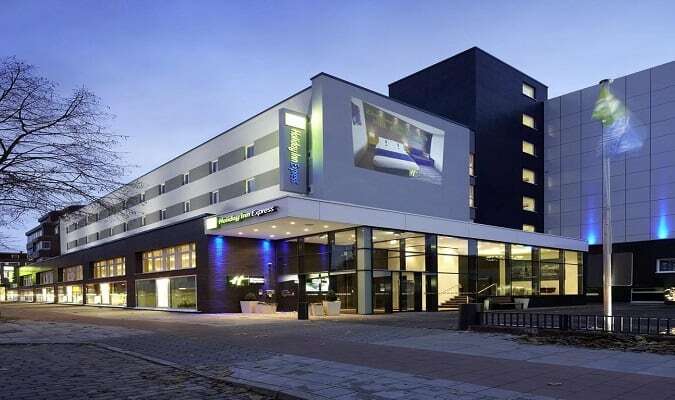 The Holiday Inn Express City Centre is located 5 minutes from the Lübecker Strasse Station. Rooms are equipped with a flat-screen TV, work desk, coffee maker. The Marriott Hamburg is located 3 minutes from the Gänsemarkt Station. Rooms are equipped with a flat-screen TV, work desk, minibar, coffee maker. 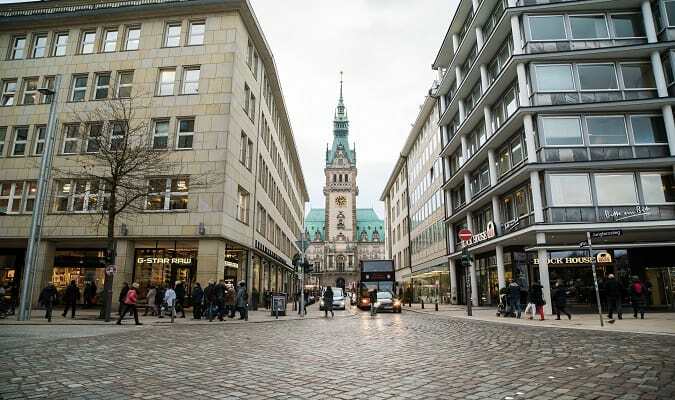 Hamburg is one of the most attractive shopping areas in Germany. Alongside international luxury brands like Louis Vuitton, Gucci, Prada there are numerous small and traditional shops. In the city center there are small galleries and boutiques, large shopping streets and cafés. The Alsterhaus is a luxury department store. The store has 5 floors. Brands: Adidas, Armani, Calvin Klein, Dior, Fendi, Gucci, Prada. The Levantehaus was built between 1911 – 1912 by Franz Bach. It is located 700 meters from the Rathaus. Brands: Marc O´Polo, Massimo Dutti, Ralph Lauren. The Europa Passage is located 280 meters from the Rathaus. Brands: Calvin Klein, Pandora, Levi´s, Tom Tailor. The Hamburger Meile has more than 150 stores. It was renovated in 2010. Brands: Bench, Bonita, Vero Moda, Gina Laura. Hamburg has easy train access from various cities in Germany. Famous cities nearby: Bremen, Hannover, Berlin, Lübeck, Schwerin.